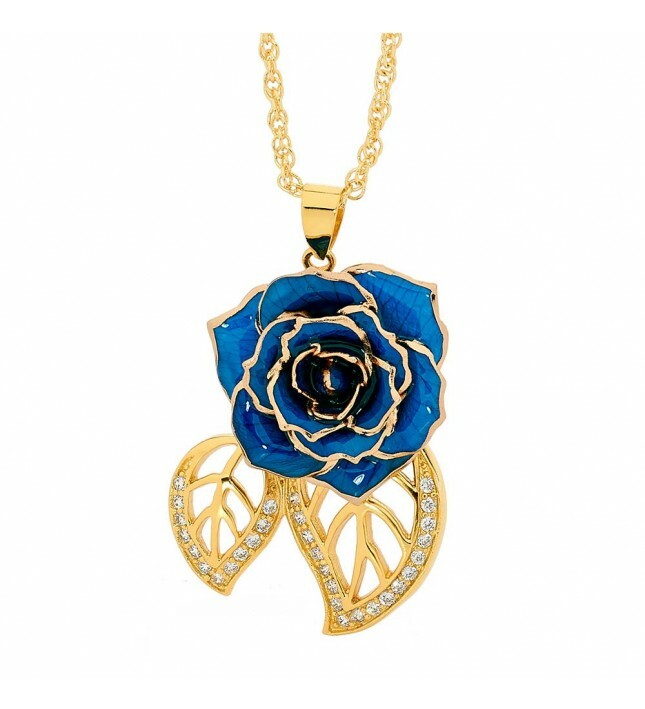 • A stylish pendant made from real miniature blue rose petals and 24 karat gold. 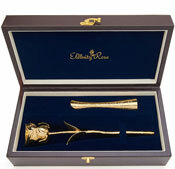 • Featuring beautiful gold leaf-shaped figurines and synthetic diamond detailing. • Parcelled in a sleek navy-blue velvet pouch with attractive gold braid drawstring detailing. • A lifetime guarantee comes with every pendant. • An authenticity certificate comes as standard. 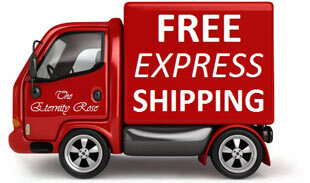 • Purchasers can benefit from free rapid priority delivery. 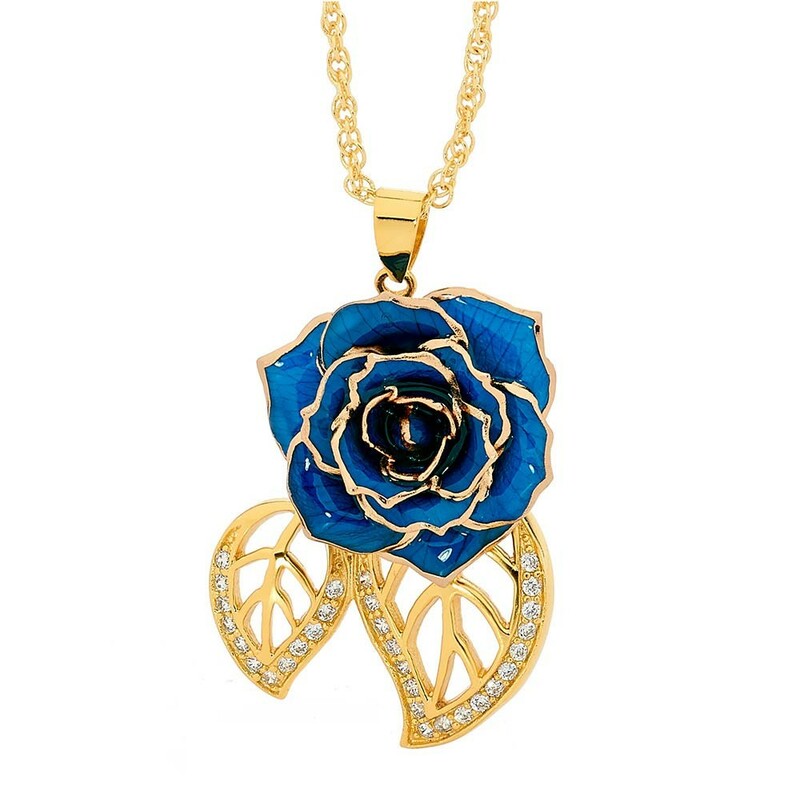 The miniature petals of this elegant pendant have been intricately glazed and trimmed with fine 24 karat gold. 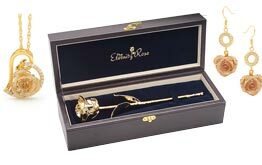 The pendant comes complete with a matching 24 karat gold multi-link chain, and the miniature head of the rose measures 0.91" in diameter. Featuring two delicate gold leaf-shaped figurines, this pendant is encrusted with 30 radiant synthetic diamonds giving it a luxurious and exclusive appearance. 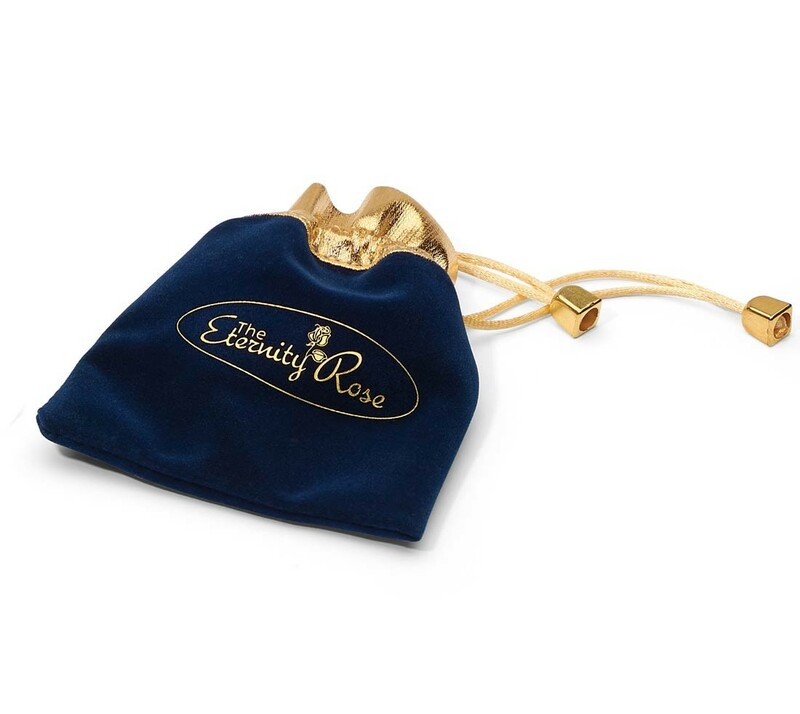 Each pendant comes supplied with a protective and sleek navy-blue presentation pouch made of velvet which can be securely fastened by a gold braid drawstring for safe storage. Produced over a period of three months, each pendant is unique, with the 60-step procedure carried out to guarantee the flawless, stunning nature of each piece of jewellery. 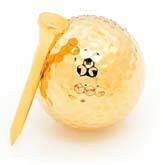 Subjected to meticulous quality control procedures, there is a lifetime warranty on every stunning jewellery item. 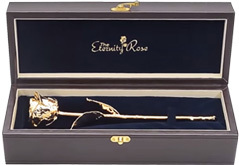 It is easy to see why this gorgeous pendant has received awards for its quality and design, and this pendant is sure to be cherished by any recipient who has a passion for fine art, jewellery and the natural splendour of roses. 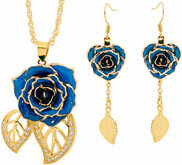 You can also buy a matching drop-earring set featuring leaf figurines.